The main aim of the laws are to provide more protection to renters in Thailand. Essentially, they are in place to ensure lease contracts are fair and to tighten up on bad practices such as overcharging for utilities like water and electricity. News of the regulations first came to light on 16th February in the Royal Gazette that announced that they would come into force on the 1st May – leaving landlords with very little time to prepare. Many landlords are angry as they feel that the new laws are grossly unfair. We will take a look at landlords’ grievances later on in this article. Who is implementing the new rental laws? The Office of the Consumer Protection Board (OCPB). They are a government agency attached to the Office of the Prime Minister. They are responsible for implementing the law. They can be contacted on +66 2 141 3437 or by email at [email protected] or there is a complaints contact form in English. 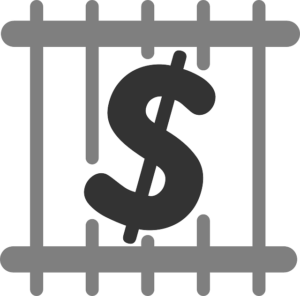 Under section 57 of the Consumer Protection Act it is stated that any business operators who fail to comply with the law may be subject to imprisonment not exceeding one year and/or a fine not exceeding 100,000 baht. Wirot Poonsuan (a practising attorney) wrote that the mentioned fines are PER LEASE VIOLATION. So in theory, 5 violations could result in 5 years jail time. 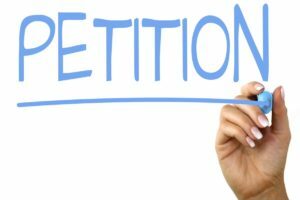 “Tenants who want to bring legal action can now band together to do so jointly to sue the same landlord and share in the amount of damages granted.” This could ease the burden on the tenant and give the landlord pause for thought. It is important to note that these laws only apply to landlords that own 5 or more properties. Apartments are owned by one entity so, as most of these apartments contain more than 5 units, they are effected the most. Likewise, landlords who own more than 5 condos are also affected. Hotels and dormitories are excluded. The new laws classify landlords having more than 5 units as having a “residential lease business”, thus controlled by the Consumer Protection Board. If your landlord meets the criteria as stated above, they can now only ask for 1 months deposit and 1 months rent in advance. This had always been 2 months deposit and 1 months rent in advance previously. Long term leases can be terminated by providing the owner with 30 days notice. Previously, if a tenant had to move out, they would usually have had to forfeit their 2 months deposit. The landlord must return the security deposit within 7 days (unless there are damages). No more mark-up on utility bills. This has been, for a long time, common practice in Thailand – particularly with apartments where utility bills are often inflated. It is not uncommon to receive an electricity bill or water bill x3 or x4 times over the standard government rate. 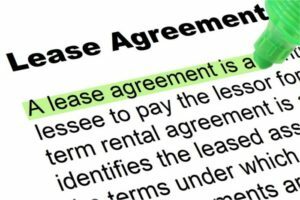 the business operator is prevented/not allowed to obstruct the lessee’s access to the property or to seize/remove the lessee’s belongings if the lessee defaults on rental fees or other expenses related to the lease of the property. These are the main changes – though there are a number of new laws aimed at protecting tenants. The law firm Tilleke & Gibbins have published full details of the law in English. (This is not an official translation). You can download the PDF here. What has happened since 1st May 2018? On 28th May 2018 it was reported that a 60 strong business group had filed a petition to the Premier at the Public Service Centre in Government House that urged him to cancel the new regulations. In the same article, on the 28th May 2018, a few of the landlords’ grievances were highlighted. It was stated that: “It was impractical to follow the new requirement to charge no more than the electricity and tap-water fees charged by the authorities to the business…because an individual apartment’s monthly bill cycle date might not match the dates on the bill from power and water authorities. Another major issue that has been passed to Rent Bangkok Apartments is that, as previously mentioned, tenants can now cancel long term agreements. Owners believe this can have an adverse effect on business and marketing planning and create additional costs such as room repairs whenever a tenant leaves early. They also believe that the new laws overly protect tenants. The new rules that prohibit landlords from canceling a rental contract is unfair if they have problematic tenants causing distress to others being as they now need to give 30 days notice. Are the laws being followed? Over the past month we have contacted a number of apartments to see what changes they have made following the introduction of the new rules. It has become pretty clear to us that at this point in time not everyone is following the rules. Some are fully cooperating while many others have not made any changes at all. Some apartments have made some kind of adjustments that include increasing the rent, increasing or adding a management/maintenance fee or a new common area fee. It’s still early days yet and we are yet to see if enforcement will be ‘strict’ or ‘lax’. For now however, it seems that many business owners are willing to carry on as usual. Time will tell and we will update this post when new information becomes available in the future. Legal Disclaimer: Please don’t use the above information as legal advice. If you are affected by the changes in law/are unsure of your rights please consult with a qualified Legal Firm with experience in residential leasing.